If you are looking for something beyond marshmallows to go with your sweet potatoes, give this a try.. 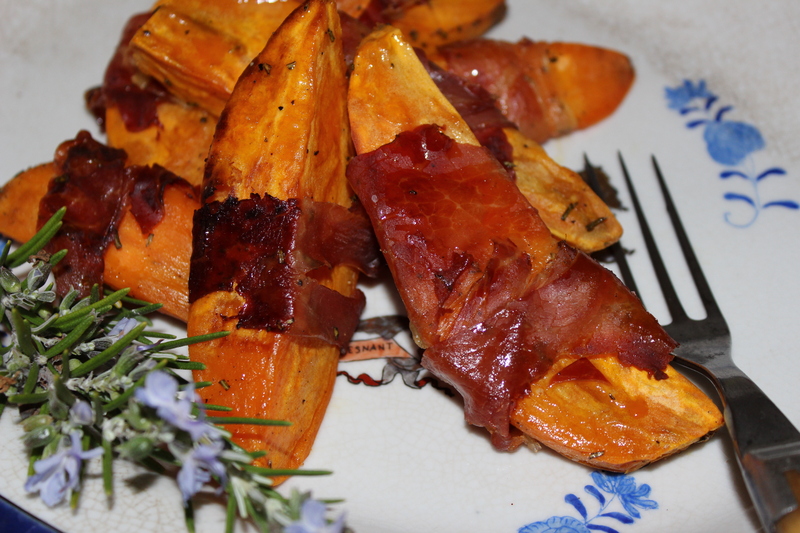 This entry was posted in Recipes and tagged Butter, prosciutto, Rosemary, sweet potatoes. Bookmark the permalink.